So many of the great books in the history of literature were inspired by specific locations. Bran Castle in Transylvania was the inspiration for Bram Stoker's "Dracula." Italy's Lake Maggiore helped provide a setting for Ernest Hemingway in his classic novel "A Farewell to Arms." William Shakespeare's "Merchant of Venice" was set in, well, Venice. Many literary locations are also real places around the world that can be visited by travelers. Now these locations from literature can also be seen through breathtaking drone videos. 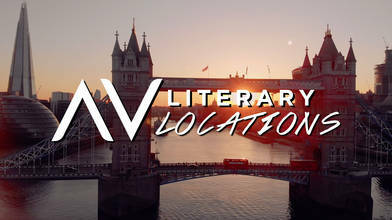 AirVuz.com has curated a collection of over 30 aerial films that showcase some of the most famous literary locations in the world. With the recent boom of the drone industry and the improvements in technology that have made drones easily transportable, cinematographers and drone pilots have now been able to film these locations from angles never before seen. Watching this footage will transport you to the settings of these famous stories, and may even inspire you to pick up a book or plan a bibliophile themed travel adventure!